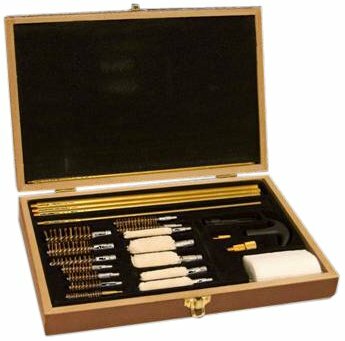 Magnum 51218 3-in-1 Gun Cleaning Kit 31-Piece Kit is a wood box that contains all the brushes and rods needed to clean rifles shotguns and pistols. Dimensions are 8.1" x 12" x 2"
If you have any questions about this product by Magnum, contact us by completing and submitting the form below. If you are looking for a specif part number, please include it with your message.